This article originally appeared at counterpunch.org. On March 17th, 1968, The New York Times ran a brief front page lede headed, “G.I.s’ in Pincer Movement Kill 128 in Daylong Battle;” the action took place the previous day roughly eight miles from Quang Ngai City, a provincial capital in the northern coastal quadrant of South Vietnam. Heavy artillery and helicopter gunships had been “called in to pound the North Vietnamese soldiers.” By three in the afternoon the battle had ceased, and “the remaining North Vietnamese had slipped out and fled.” The American side lost only two killed and several wounded. The article, datelined Saigon, had no byline. Its source was an “American military command’s communique,” a virtual press release hurried into print and unfiltered by additional digging. Several days later a more superficially factual telling of this seemingly crushing blow to the enemy was featured in Southern Cross, the weekly newsletter of the Americal Division in whose ‘area of operation’ the ‘day long battle’ had been fought. It was described by Army reporter Jay Roberts, who had been there, as “an attack on a Vietcong stronghold,” not an encounter with North Vietnamese regulars as the Times had misconstrued it. However, Roberts’ article tallied the same high number of enemy dead. When leaned on by Lt. Colonel Frank Barker, who commanded the operation, to downplay the lopsided outcome, Roberts complied, noting blandly that “the assault went off like clockwork.” But certain after action particulars could not be fudged. Roberts was obliged to report that the GIs recovered only “three [enemy] weapons,” a paradox that surely warranted clarification. None was given. It was to be assumed that, either the enemy was poorly armed, or that he had removed the weapons of his fallen comrades – leaving their bodies to be counted – when he retired from the field. Neither of the news outlets cited here, nor Stars and Stripes, the semi-official newspaper of the U. S. Armed Forces which ran with Robert’s account, makes reference to any civilian casualties. It would be nearly eighteen months later when, on September 6, 1969, a front page article in the Ledger-Enquire in Columbus, Georgia reported that the military prosecutor at nearby Ft. Benning – home of the U. S. Army Infantry – was investigating charges against a junior office, Lieutenant William L. Calley, of “multiple murders” of civilians during “an operation at a place called Pinkville,” GI patois for the color denoting manmade features on their topographical maps in a string of coastal hamlets near Quang Ngai. With the story now leaked, if only in the regional papers – it would migrate as well to a daily in Montgomery, Alabama – the Ft. Benning public information officer moved to “keep the story low profile,” and “released a brief statement that The New York Times ran deep inside its September 7, 1969 issue,” limited to three terse paragraphs on a page cluttered with retail advertising. The press announcement from the Army flack had referred only to “the deaths of more than one civilian.” In the nation’s newspaper of record, which also mentioned Calley by name, this delicate ambiguity was multiplied to “an unspecified number of civilians.” Yet, once again, the Times was enlisted to serve the agenda of a military publicist, and failed to approach the story independently. An Army recon commando named Rod Ridenhour had taken it upon himself to do just that. While still serving with the Americal Division’s 11th Light Infantry Brigade from which Task Force Barker – named for its commander – was assembled for the attack on Pinkville, Ridenhour documented accounts of those who had witnessed or participated in a mass killing. A year later in March 1969, now stateside and a civilian, Ridenhour sent “a five page registered letter” summarizing his findings to President Richard Nixon, the Joint Chiefs of Staff, and select members of the U.S. Congress urging “a widespread and public investigation.” General William Westmoreland, who had commanded U.S. forces in Vietnam until June 1968, reacted to Ridenhour’s allegations with “disbelief.” The accusations were, he told a Congressional committee, “so out of character with American forces in Vietnam that I was quite skeptical.” Nonetheless an inquiry was launched. The Times, although forewarned, had once again squandered a chance to scoop for its global readership what was arguably the most sensational news story of the entire Vietnam War. The two regional reporters had done their legwork, then, bereft of big city resources had nowhere else to go. But in late October, a seasoned freelance journalist in Washington named Seymour Hersh, acting on a colleague’s anonymous tip from inside the military, immediately “stopped all other work and began to chase down the story,” which by mid-November 1969 would be revealed to the American public and the world at large as the My Lai massacre. That My Lai was extraordinary I hold beyond dispute. 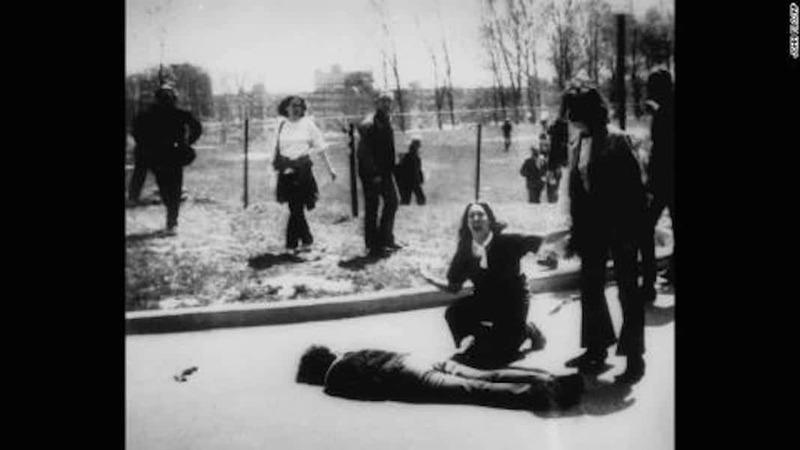 But the privileged attention given to the massacre by historians and other commentators – not to mention its impact on the general public – which by far prefers vivid superlatives to cloudy comparisons – hangs like a curtain and obscures the broader and far grizzlier picture of the U.S. driven horrors of the Vietnam War that were commonplace and quotidian. Would the historian tell that story too, I wondered, as I plunged into his text? Or was the only purpose to take up this subject again five decades on to ensure that the censorious curtain remained firmly in place? Quang Ngai was a hot bed of resistance under the Viet Minh independence movement during French colonial rule. 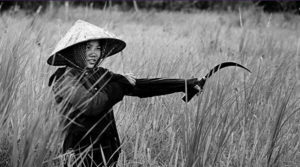 With the transition to the American War, resistance fighters – now reconstituted as the National Liberation Front, or Viet Cong – remained capable of striking at will throughout the province, which, until 1967, was under the jurisdiction of the South Vietnamese Army. But the American command found its native allies unreliable, without ever asking if perhaps their reluctance to challenge the local resistance rested, not on fear or cowardice, but familiarity or even kinship. U.S. soldiers possessed no such scruples. Pinkville had been declared a free fire zone. The mission for the assault was to search and destroy. If the soldiers encountered non-combatant villagers the text book regulations dictated they be detained and interrogated as to the whereabouts of the enemy, and then moved to safety in the rear. But the various strands of intelligence-gathering that guided Task Force Barker were interpreted to suggest there would be no non-combatants, because the villagers had been warned to evacuate, or, given that the assault was on a Saturday, those residents who’d defied evacuation would be off to the market in Quang Ngai City. This was all Intel double talk. The true military objective was that the residents have no village to return to because the GIs were primed to slay all livestock, lay waste to every dwelling and defensive bunker, destroy the crops and foul the wells, that is, to ensure that My Lai and its contiguous hamlets were left uninhabitable, and thus utterly untenable as bases to support the guerrillas. Beginning just before 8 a.m. on March 16th, the three platoons of Charlie Company were airlifted to the fringes of the Vietnamese hamlets where they expected to encounter fierce enemy resistance. The hail of bullets from helicopter gunships that churned up the earth around them and aimed at suppressing potential enemy fire, created for many of these soldiers who had never experienced combat the impression that they’d been dropped in the midst of the “hot landing zone” Captain Medina had promised them. But as Army photographer Ron Haeberle, assigned to document the assault, would later testify, there was “no hostile fire.” The headquarters of the 48thand what remained of its fighters had taken refuge west into the mountains after being decimated during the Tet Offensive a month before. And the few VC who had been visiting their families around My Lai, hardly ignorant of American movements, had gotten out by dawn on the 16th. In a state of confusion as to exactly what they were facing, Charlie Company’s platoons stepped off from opposing positons to sweep through the village, already partially damaged by artillery, intending to squeeze the enemy between them. Instead they soon confronted, not the guerrilla fighters they were sent to dislodge, but scores of inhabitants who weren’t supposed to be there. GIs immediately shot several villagers who panicked and attempted to flee. In this war such trigger happy killings were not far from the norm. But Lieutenant Calley “had interpreted Medina’s briefing to mean that they were to kill everyone in the village… Since it was impossible to distinguish between friend and foe, the only conclusion was to presume all Vietnamese were Viet Cong and to kill them all.” Calley, moreover, was being relentlessly spurred by Medina over the radio to quicken the pace of the 1st platoon’s forward sweep, and therefore, would later claim, he could neither evacuate the non-combatants, nor, for reasons of security, leave them to his rear. “What are you doing now?” Medina asked. The idea of questioning orders, comments Jones dryly, never crossed Calley’s mind, particularly during combat. One brief panel of the horror show will suffice to roil the imagination toward grasping what Jones styles a ‘descent into darkness,” which, given the scale of the ensuing carnage that morning, has elevated the My Lai massacre to the extraordinary status in the Vietnam War that history has bestowed upon it. Calley, in the grip of all his embedded demons – his mental and moral mediocrity, his cracker barrel knee jerk racism, his incompetence as a leader, his slavish kowtowing to authority which clearly disgusted his commander and his troops, everything that conspired to create the monster that was him – returned from his latest whipping by Medina to where one group of villagers sat on the ground, and demanded of two members of his platoon, “How come you ain’t killed them yet?” The men explained they understood only that they were to guard them. “No,” Calley said, “I want them dead… When I say fire… fire at them.” Calley and, Paul Meadlo – whose name would became almost as closely associated with the massacre as Calley’s – “a bare ten feet from their terrified targets… set their M-16s on automatic… and sprayed clip after clip of deadly fire into their screaming and defenseless victims… At this point, a few children who had somehow escaped the torrent of gunfire struggled to their feet… Calley methodically picked off the children one by one… He looks like he’s enjoying it,” one soldier remarked, who moments before had been prevented by Calley from forcing a young woman’s face into his crotch, but who now refused to shoot. The mass killing, which Harold Jones parades scene by scene with exhaustive precision, was repeated throughout the morning until the bodies of hundreds of villagers lay scattered across the landscape. Not just those killed by Calley’s platoon, but by others throughout the rest of Charlie Company. And not just at My Lai 4, but also at My Khe 4 several miles distant by members of Bravo Company. “In not a few cases, women and girls were raped before they were killed.” Jones dutifully chronicles the accounts of the few who resolutely refused to shoot, and of one man who blasted his own foot with a .45 to escape the depravity. “Everyone except a few of us was shooting,” Pfc. Dennis Bunning of the second platoon would later testify. But there was another man that morning who didn’t just seek to avoid the killing, he attempted to stop it. Against regulations, Thompson landed and confronted Lieutenant Calley, asking him to help the wounded and radio for their evacuation. Calley made it clear he resented the pilot’s interference and would do no such thing. Thompson stormed away furiously warning Calley “he hadn’t heard the last of this.” With Medina again at his heels, Calley ordered his sergeant “to finish off the wounded,” and just as Thompson was taking off the killing resumed. “I’m going to go over to the bunker myself and get those people out. If they [the soldiers] fire on those people or fire on me while I’m doing that. Shoot ‘em.” That moment has been cast in the My Lai literature as a classic armed standoff. But Thompson’s two gunners had not aimed their weapons at Brooks and his men who stood fifty yards away, a bit of manufactured drama several chroniclers of that confrontation, among them Sy Hersh, have chiseled into the record. Harold Jones in this instance had gone beyond the dogged task of compilation. While researching his book, he had spent many hours with Larry Colburn, and befriended him. And it was Larry who told Jones that he and Andreotta did not aim their weapons directly at the soldiers who faced them. They tried to stare then down, “while carefully pointing their weapons to the ground in case one of them accidentally went off.” This verisimilitude restores a dimension of realism to a scene imagined by those who’d never been soldiers. Checking Brooks, but failing to get his cooperation, Thompson took another extraordinary step. He radioed Warrant Officer Danny Millians, one of the pilots of the gunships, and convinced him to also defy the protocols against landing in a free fire zone. Then, in two trips, Millians used the Shark to transport the nine rescued Vietnamese, including five children, to safety. Making one final pass over the ditch where he’d locked horns with Calley, Thompson “hovered low… searching for signs of life while flinching at the sight of headless children.” Thompson landed a third time, remaining at the controls. He watched as Colburn, from the side of the ditch, grabbed hold of a boy that Andreotta, blood spilling from his boots, had pulled from among a pile of corpses. Do Hoa, a boy of eight, had survived. Livid and in great distress at what he had witnessed, Thompson, on returning to base, and in the company of the two gunship pilots, made their superior, Major Frederic Watke, immediately aware of “the mass murder going on out there.” From that moment, every step taken to probe and verify “the substance of Thompson’s charges almost instantly came into dispute.” Although Watke would later tell investigators he believed Thompson was “over-portraying” the killings” owing to his “limited combat experience,” the major had realized that the mere charge of war crimes obliged him “to seek an impartial inquiry at the highest level.” The Military Assistance Command, Vietnam (MACV) required that field commanders investigate “all known, suspected or alleged war crimes or atrocities… Failure to [do so] was a punishable offense.” Having reported Thompson’s allegations to Task Force commander Barker, Watke had fulfilled this duty. But there was a Catch-22 permitting command authority to ignore the MACV directive if they “thought” a war crime had not been committed. The trick here was for Barker and several other ranking officer in the division and brigade chain of command to assess if civilians had been killed during the assault, and if so, how many. Captain Medina – in addition to contributing to the fictional enemy body count – would supply a figure of “thirty civilians killed by artillery.” The division chaplain would characterize these deaths as “tragic… an operational mistake… in a combat operation.” For this line of argument to carry, however, it had been necessary for the commander of the Americal Division, Major General Samuel Koster, the “field commander” who alone possessed the authority to prevent the accusations from going higher, to put his own head deep into the sand. When discussing the massacre later at an inquiry, the Americal Division chaplain, faithful to the Army but not his higher calling, claimed that, had a massacre been common knowledge, it would have come out. That the massacre was “common knowledge” to the Vietnamese throughout Quang Ngai Province on both sides of the conflict (not to mention among their respective leadership on up to Hanoi and Saigon) goes without saying. Indeed low ranking local South Vietnamese officials attempted to stir public outrage about the massacre (not to mention negotiate the urgent remedy of compensation for the victims), and were suppressed by the Quang Ngai Province Chief, a creature of the Saigon government who fed at the trough of U.S. materiel and did not wish to risk the good will of his American sponsors. My Lai was quickly recast as communist propaganda, pure and simple. While this proved a viable method of suppression for South Vietnamese authorities, it could not still tales of the massacre in the scuttlebutt of the soldiers who had been there, who had carried it out. From motives said to be high minded, but not fueled by an anti-military agenda, and in the piecemeal fact-gathering manner typical of any investigation, the whistleblower Ron Ridenhour had thus resurrected the buried massacre, and bestowed on Sy Hersh the journalistic coup of a lifetime. As the articles and newscasts about what took place at My Lai were cascaded before the public in November 1969, efforts to manage the political fallout by various levels of government were accelerated with corresponding intensity. Pushing back at the center of that storm were Richard Nixon and other members of the Executive; congressional committees in both the House and Senate; and not least, and in some cases with considerably more integrity than their civilian political masters, members of the professional military. Not surprisingly, if one understands anything about American society, a substantial portion of the public, in fact its majority, expressed far greater sympathy for William Calley than for his victims. One could cite endemic American racism as a contributing factor for this unseemly lack of human decency. More broadly speaking, an explanation less charged by aggression would point to a level of provincialism that apparently can only afflict a nation as relatively pampered as my own. In such an arrangement, turning a blind eye for expedience sake toward the pursuit of global power, consequences be damned, is as good as a national pastime. Nixon found a staunch ally for this strategy in Mendel Rivers, the “hawkish” Mississippi Democrat who chaired the House Armed Services Committee. As evidence from the military’s internal inquiries mounted to prove the contrary, members of River’s committee sought to establish that no massacre had occurred, and that the only legitimate targets of interest were Hugh Thompson and Larry Colburn (Gary Andreotta having been killed in an air crash soon after the massacre), who were pilloried at a closed hearing, virtually accused of treason for turning their guns on fellow Americans. During a televised news conference on December 8th – with Calley’s court martial already under way for three weeks – Nixon announced that he had rejected calls for an independent commission to investigate what he now admitted for the first time “appears to have been a massacre.” The President would rely instead on the military’s judicial process to bring “this incident completely before the public.” The message the Administration and its pro-war allies would thenceforth steam shovel into the media mainstream wherever the topic was raised, was that My Lai was “an isolated incident,” and by no means a reflection of our “national policy” in Vietnam. As maneuvers to re-consign the massacre to oblivion faltered, the Army was just then launching a commission of its own under a three-star general, William Peers, whose initial charge was to disentangle the elaborate cover-up within the Americal Division that had kept the massacre from exposure for almost two years. In order to reconcile the divergent testimonies among its witnesses, the scope of the Peers Commission soon necessarily expanded to gather a complete picture of the event the cover-up sought to erase. The Army’s criminal investigation by the CID, on which charges could be based, and which would guide any eventual legal proceedings, continued on a separate track and beyond the public eye as a matter of due process. After Lieutenant General Peers had submitted the commission’s preliminary report, Secretary of the Army, Stanley Resor moved to soften the “abrupt and brutal” language. 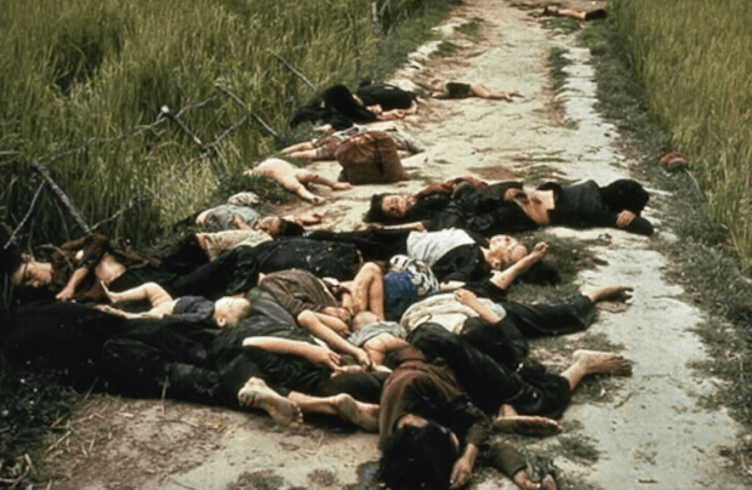 He requested that Peers not refer “to the victims as elderly men, women, children and babies,” but as “noncombatant casualties.” And might Peers “also be less graphic in describing the rapes?” Resor further edited the word “massacre” from the report, and when presenting it to the press, had the chair of his commission describe My Lai rather as “a tragedy of major proportions.” Peers was reportedly indignant, but complied. It required no such compulsion to ensure that Peers toe the line on a far more central theme. Responding to questions from the media, Peers insisted there had been no cover-up at higher levels of command beyond the Americal Division, and echoed his Commander in Chief’s mantra that My Lai was an isolated incident. When Peers was questioned about what took place at My Khe that same day, he insisted it was inseparable from what occurred at My Lai. No reporter followed up with a challenge to that assertion. Investigators had a long list of suspects deployed at My Lai and My Khe in Task Force Barker, as well as those throughout the Americal chain of command, who they believed should be charged and tried. Some forty enlisted men were named, along with more than a dozen commissioned officers. [iii] Only six among them, two sergeants and four officers would ultimately stand trial. There would be no opportunity to enlarge the scope of the massacre through the spectacle of a mass trial that would, moreover, conjure images of Nuremburg and Tokyo where America dispensed harsh justice on its defeated enemies only two decades earlier. It was agreed upon by both Nixon and the Pentagon Chiefs that defendants would be tried separately and at a spread of different Army bases. If the elaborate subterfuge employed to cover-up the massacre had been the work of individuals desperate to protect their professional military careers, the court martial proceedings reveal how an entire institution operates to protect itself. George Clemenceau, French Prime Minister during the First World War, is credited with the droll observation that ‘military music is to music what military justice is to justice.” Harold Jones, using the idiom of the historian, demonstrates in his summaries of the trials the disturbing reality behind Clemenseau’s quip. First before the bar at Fort Hood, Texas in November 1969 was Calley’s platoon sergeant David Mitchell, that witnesses described as someone who carried out the lieutenant’s orders with a particular gusto. Then in January it was Sergeant Charles Hutto’s turn at Fort McPhearson, Georgia. Hutto had admitted turning his machine gun on a group of unarmed civilians. These two men were so patently guilty in the eyes of their own comrades that theirs were among the strongest cases the investigators had constructed for the prosecution. Both men were acquitted in trials that can only be described as judicial parodies. Shortly after Hutto’s trial, the Army dropped all charges against the remaining soldiers, fearing their claims to have been following orders would likewise find merit in the prevailing temper of the military juries. Heeding the judicial trend, Lieutenant General Jonathan Seaman, a regional commander exercising jurisdiction over officers above the rank of captain, dropped all charges against Major General Koster. By some opaque calculation which convinced no one, Seaman had concluded that Koster was not guilty of “intentional abrogation of responsibilities.” A hue and cry followed in the press and on Capitol Hill denouncing Seaman for “a white wash of the top man.” The outcry did prod the Pentagon to take punitive action against Koster. The general had already been dismissed as the commandant of West Point, and he was now demoted to brigadier general and stripped of his highest commendation. Seaman informed Koster through internal channels that he held him “personally responsible” for My Lai, a kind of symbolic snub among gentlemen. But in exonerating the Americal commander, Seaman had, by design it can be argued, inoculated the higher reaches of command straight up to General Westmoreland from being held responsible for the actions of their subordinates, a blatant act of duplicity in light of the ruling at the Tokyo trials following World War II where lack of knowledge of atrocities committed by his troops had not prevented General Yamaschita from being hanged. Henderson’s and Medina’s trials were media spectacles in their own right, but mere side shows compared with the main event at Fort Benning, Georgia. The Calley trial opened in November, soon after the My Lai revelation. By the middle of March when the talented young prosecutor, Captain Aubrey Daniel, began his closing argument, a great majority of Americans had been glued to the courtroom drama for four months. Calley had a courtly elderly gent, George Latimer, a former Chief Justice of the Utah Supreme Court, and later an original member of the U.S. Court of Military Appeals, to lead his defense. Clearly Latimer knew his way around the arcana of military justice; moreover as a veteran of World War II who had achieved the rank of colonel, he was of the very caste. Latimer was confident he’d prevail. As the trial progressed, the testimony of nearly one hundred witnesses so prejudiced his client that Latimer desperately veered the defense toward an insanity plea, a strategy which founded after three Army psychiatrists judged the accused to possess “the mental capacity to premeditate.” Finally Calley took the witness stand and quickly blundered. Under a rigorous cross-examination, Captain Daniel marched Calley back across the killing fields of Pinkville, at each step recapping eyewitness accounts, including the testimony of Hugh Thompson. Before he grasped the significance of his misstep, Calley had confessed to shooting into the ditch filled with Vietnamese victims. The verdict seemed ordained. Yet, it was no slam dunk for the prosecution. The jury took eighty hours to deliberate, in the end finding Calley guilty of murder by a vote of four to two, one ballot shy of a mistrial, if not an outright acquittal. As a capital felony, Calley might have received the death penalty, but Daniel argued only for life imprisonment. On March 29, 1970 the judge agreed and passed sentence. Calley appeared shaken as he faced the court. Surely the shrinks had gotten it wrong in not certifying a case of mental dissociation as acutely obvious as Calley’s? He seemed the perfect robotic tool of the Cold War. Hadn’t he been madly insisting all along that he had not been killing humans, but only communists, including babes at the breast who would grow up one day to be communists themselves? Then again, maybe Calley wasn’t as clueless and out of touch as he came across. In addressing the judge at sentencing, one could read in Calley’s plea, “I beg you… do not strip future soldiers of their honor” as he had been stripped of his, a message defending the common man and shrewdly aimed at a wider audience beyond the courtroom that the defendant must have known was substantially in his corner. The polls quickly confirmed this. 79% of the public opposed the conviction. Across an ideological divide embracing both the war’s supporters and opponents, a large majority saw Calley as a scapegoat, one man custom-made to bear the blame for the entire Vietnam fiasco. Nixon played this public frustration to his advantage. There was little opposition when the President saw fit to have the prisoner removed from the stockade, where he’d spent just one night, and returned to his own Ft. Benning apartment. Calley would serve only three and a half years under house arrest before going free, but, after the trial, he quickly faded into anonymity. It’s not that the historian entirely buys Nixon’s aberration line; Jones does refer to other reported atrocities in VN. But he does buy Peers’ “right situation” explanation for why My Lai stands out, quoting the Peers Commission report that “none of the other [investigated] crimes even remotely approached the magnitude… of My Lai.” That would depend on how one defines “magnitude.” Peers had failed to do the math, and so has Jones. The American invasion, and occupation for over a decade, left a trail of bloodshed and destruction throughout Vietnam that led elements of the antiwar movement worldwide to level the charge of genocide against the U.S.
Having already established that Nixon denied the link between My Lai and “national policy,” Jones does not engage the argument further. But the war veterans (including the present writer) were not suggesting that the policy of genocide was etched in a secret covenant buried in a Pentagon vault. We were saying, in effect, don’t just look at the record body count attached to the slaughter at Pinkville, and imagine you have a true picture of American crimes in that war. 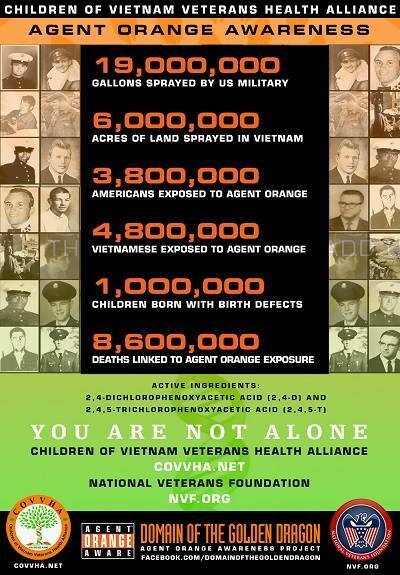 Count the day to day toll of Vietnamese civilian deaths that resulted from premeditated frames like “mass population transfers” – the Strategic Hamlet program, or “chemical warfare” – the saturation of the countryside with phenoxy herbicides like Agent Orange, that were already prohibited by the conventions of war to which the U.S. was a signatory. Michael Uhl served with the 11th Light Infantry Brigade as leader of a combat intelligence team eight months after the My Lai massacre. 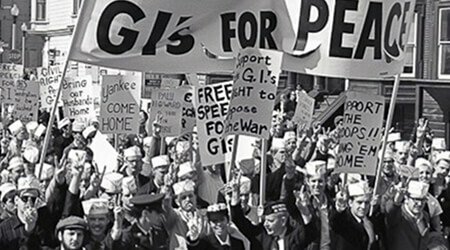 On return from Vietnam he joined the antiwar movement, and organized fellow veterans to make public their personal accounts of American atrocities in Vietnam. He presents this history in the war memoir, Vietnam Awakening (McFarland, 2007). 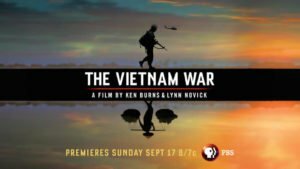 In their recent documentary film series on the Vietnam War, Ken Burns and Lynn Novick reported that no province suffered more than Quang Ngai during the war, and no place was more dangerous for operating militarily. [ii]. The author’s account of the cover-up reads as definitive; Harold Jones here follows closely Seymour M. Hersh in Cover Up (Random House, 1972). [iii]. This would not include Barker, himself, who had died a month after the massacre when his helicopter crashed during a combat mission. [iv]. This quote (p. 347) is from Four Hours in My Lai, by Michael Bilton and Kevin Sim, (Penguin, 1993), the standard work on the massacre for the past twenty-five years. [v]. Harold Jones is reporting here from what he heard on the Nixon tapes recorded on April 8, 1971. [vi] . One portrait of what has been called the West Point Protective Association embodying the Army’s Spartan ethic, can be found in a highly charged expose, co-authored by a former academy graduate, West Point: America’s Power Fraternity, by Bruce Calloway and Robert Bowie Johnson (Simon and Schuster, 1973). [vii]. An extensive account of the Air War in Quang Ngai Province is found in The Real War by Jonathan Schell (Da Capo Press, 1988). [viii]. 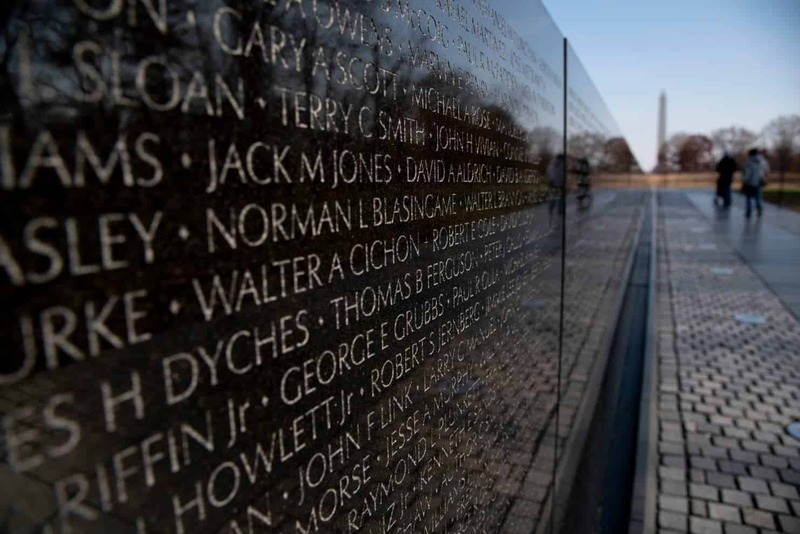 The Vietnam Memorial Wall in Washington, D.C. with the names of the 58,282 American war dead is 475 feet long; a wall inscribed with the names of the Vietnamese war dead would go on for miles. [ix]. Herbicide poisoning and unexploded ordnance are legacy issues of the war that continue to take their toll on Vietnamese victims to this day. A version of this essay appeared in the February / April 2018 edition of the Mekong Review.